This classic interactive book that has been helping children chase away nighttime fears for 25 years is perfect for Halloween--and all-year round! Caldecott Award-winner Ed Emberley has created an ingenious way for children to overcome bedtime frights. 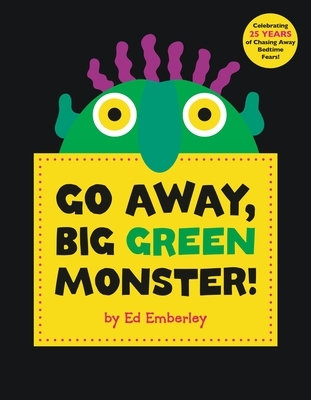 As kids turn the die-cut pages of this vibrantly illustrated book, they'll watch the Big Green Monster grow before their very eyes. Then, when they're ready to show him who's in charge, they'll turn the remaining pages and watch him disappear!